3D printers continue to gain popularity in science and research. Adaptable, software-manipulated designs and the efficient print times make 3D printing a reliable resource in many science and exploration fields. Although invented in the 1980s and used in STEM (science, technology, education, and mathematics) since, 3D printers’ applicability in marine conservation work is still overlooked. Interested in learning how 3D printing can improve the quality or quantity of your research? Here are 10 advantages of using 3D printing in marine science. 3D printing uses computerized technology that responds to your desired print counts. Therefore, you won’t be wasting money on excess materials or ’backups’ in case something in your study breaks. If you realize the initial count fell short, simply print more. This eliminates wasteful over-purchasing, while considering the need for on-demand replacements. Marine research is limited by the hours we or our equipment can spend underwater. Replicating organisms can improve our understanding of physiological or biological mechanisms, without costly, inaccessible, or impossible field research. It also prevents over-harvesting live organisms for use in these studies. 3D printers vary in size and mobility. Some printer designs are convenient for printing on-the-go. Using a mobile printer, you can easily replace parts, study replicates, etc. regardless of your geographic location. Field research involving long cruises or remote locations will benefit from packing a 3D printer, rather than surplus parts and equipment. Flexible print locations will also create opportunities to use localized materials in print composition. The print time varies depending on printer model and substrate type, but in general, 3D printing is a fast manufacturing method. Most designs can print within a few hours. Rather than waiting for shipping or backordered items, materials are available when needed. 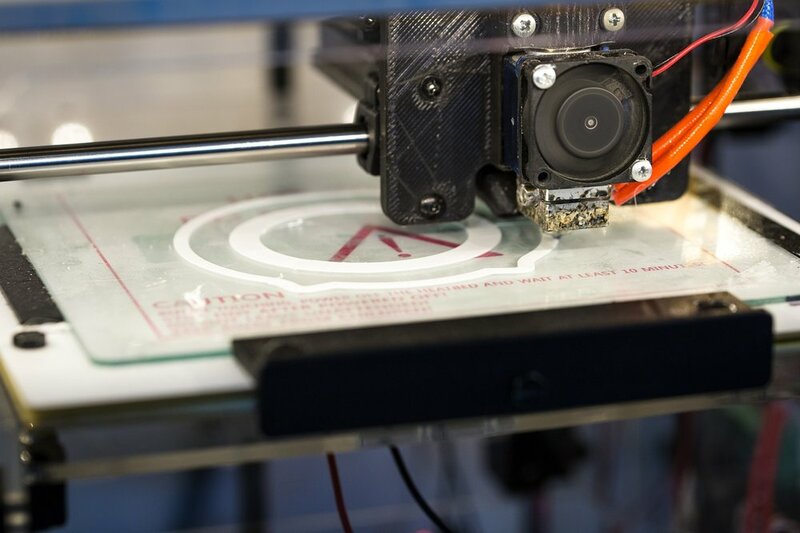 3D printing technology is continually evolving. People across disciplines frequently create new print mediums and printers to support them. 3D printers’ adaptability can open doors for printing in a number of abiotic and biotic substrates. Commercial 3D printing companies carry many common substrates, including metals, plastics, and clays. If you can’t find a printer that suits your substrate needs, you can design one that will print your medium of choice. This practice is common in the medical field, where researchers design technology to print STEM cells, organs, and other living tissues. Many of these printers are refurbished 3D printers with customized attachments. Creating a custom printer-head is one way to adapt the technology to fit your specific needs. 3D models computer-generated and saved as digital files, making them easy to transfer between people around the world. This is ideal for collaborations— they can conveniently exchange ideas. Collaborators can instantaneously send ideas to others, then print the models into tangible objects. Distance is no longer a barrier to collaboration. Create 3D models by scanning an object or drawing an object in a 3D modeling software. You can edit these files to change object texture, shape, and size. Editing flexibility can benefit research testing spatial scales or textures on biological processes. Easy edits are also useful for prototyping and testing object designs. With the ease of model manipulation, scientists can be creative in their research. Research is no longer limited to objects created by casting molds. 3D printing eliminates this step, opening doors to more testable research questions and a better understanding of the marine environment. 3D software allows you to draw models in intricate shapes. 3D printers are capable of printing complex structures with negative space. Using 3D software and 3D printers, you can create organic or hollow objects that closely resemble nature. Maintaining natural design and structure is beneficial to studies involving biological organisms or marine environments. Researchers struggle to control confounding variables in both in situ and in vitro experiments. 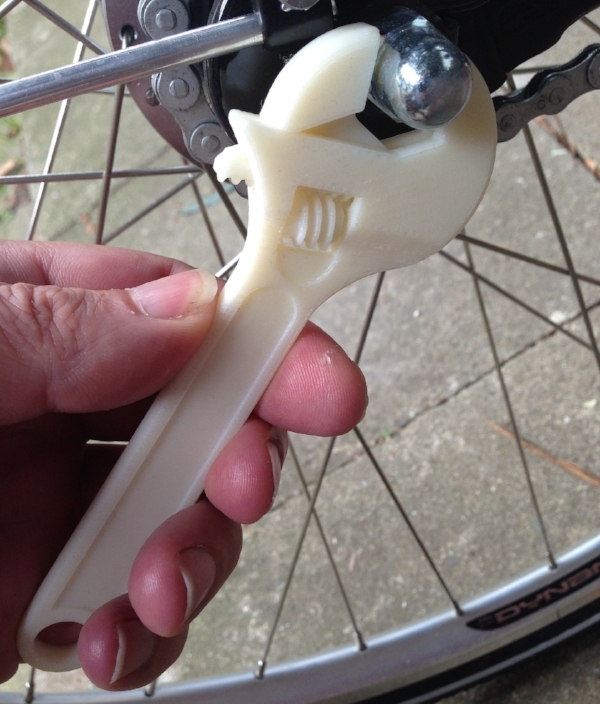 3D printing can help control this by creating exact replicates of the custom-designed objects in your study. Controlling exact shape of replicates of objects will reduce random error that results from differences in natural or manufactured structures.